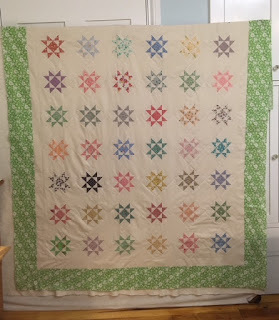 Quilting Adventures: I'm on a roll ...! That green fabric is perfect! 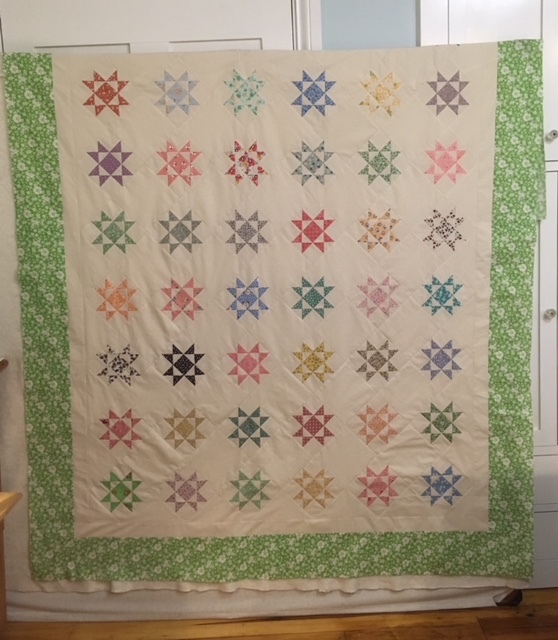 The bonus is you move more fabric out of your stash, and you don’t have to spend more time piecing the border in the original pattern. That gives you more time to work on more UFOs. Double win! Your quilt is beautiful and the reproduction fabrics are beautiful in it.